“The Garden of Eden is no more”, Sir David Attenborough told Davos 2019 as he delivered his verdict on the destruction that humanity has inflicted on the natural world. Sir David also offered hope, noting that we humans are a “problem-solving species”, but he reiterated that we have just a decade to solve climate change. United Nations Secretary-General António Guterres mirrored these sentiments in his “State of the World” address. Megatrends such as climate change are more and more interlinked, he said, but responses are fragmented. He warned that not tackling this was “a recipe for disaster”. While few of us should need reminding on how pressing the issue of fighting climate change is, what surprised me was how this concern permeated all aspects of the conversation on sustainable development at Davos. And much was up for discussion, from inequality, biodiversity loss and the challenges of reskilling in the face of automation, to global governance, cyber security, food systems and the future of the financial system, to name but a few. Technology and finance - the main enablers of the advancement of the Sustainable Development Goals (SDGs) in the coming years - were centre-stage. Even the most technologically challenged of us would be awed by the discussions outlining the potential of artificial intelligence, big data and blockchain to make the world a better place. The variety of game-changing ideas in this area opened eyes - and mouths. They ranged from a project to protect airports and critical infrastructure from cyberattacks to encouraging businesses to play their part in realizing the SDGs by incorporating the goals into their business model. Of course, disruptive technology is not a silver bullet for achieving the SDGs, and its associated risks, as well as its benefits, were prominently featured. But the Fourth Industrial Revolution can help accelerate progress towards the SDGs. At the United Nations Development Programme (UNDP), we are working to ensure that economies in developing countries can harness innovation to eliminate extreme poverty and boost shared prosperity. In concrete terms, we have just launched Accelerator Labs in 60 developing countries to identify and connect problem-solvers across the world, using both local networks and data from novel sources, ranging from social media to satellite imagery. We want to support innovators such as Dana Lewis, who created open-source tools to manage Type 1 diabetes, or people like the entrepreneurs who built floating farms in flood-prone Bangladesh. The Accelerator Labs will become integral to UNDP’s existing country-based teams and infrastructure. They will enable UNDP to connect its global network and development expertise that spans 170 countries with a more agile innovation capacity, to support countries in their national development priorities, ultimately working towards a wide range of SDGs. The topic of finance was rarely absent from my exchanges with government representatives and corporate leaders. “Innovative finance” in particular dominated conversations, from its ability to support migrants and refugees to the potential of so-called “initial coin offerings” to fund the next generation of high-growth companies. We explored ways to attract finance to the SDGs, as well as the need to set up robust impact management processes and tools to identify companies that make economic, social and governance practices part of their DNA. Those sorts of changes could influence companies’ investment flows so they, in turn, are more likely to align with the SDGs. 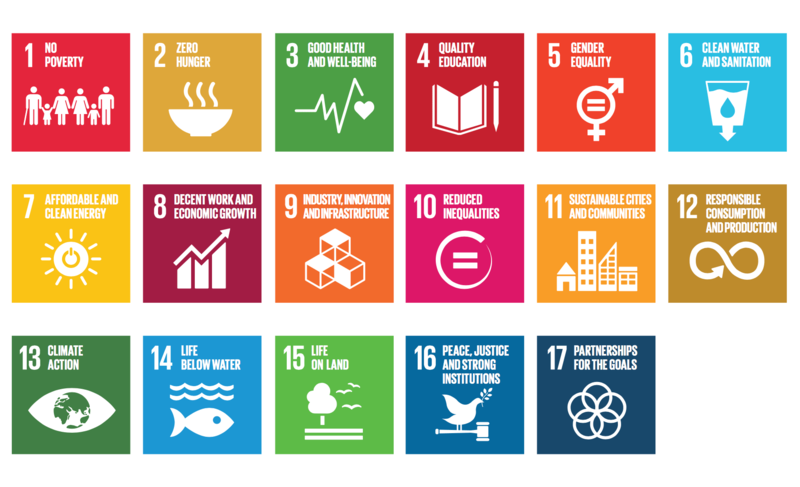 Connecting the dots between technology and finance, the UN Secretary-General’s Task Force on Digital Financing for the SDGs had its first face-to-face meeting. The role of the Task Force, which I co-chair with Maria Ramos, the CEO of Absa Group in South Africa, is to recommend strategies to harness the potential of financial technology to advance the SDGs. We discussed the need to use digital financing to get women more engaged in the real economy and to promote indigenous innovation, bearing in mind the core commitment contained in the SDGs that “no one is left behind”. In this respect, it is amazing to consider that 75-80% of financial apps are developed in the US or Europe and are not tailored to local experiences or priorities. What is very clear is that digital finance has created new business models, and it has the ability to play a part in building more inclusive societies. Davos plants the seeds for a much-needed combined approach between business, government and broader civil society to find new and reliable solutions to some of the world’s most pressing problems. UNDP has advanced one such partnership with the World Economic Forum, to focus on how automation and other drivers may reshape global value chains. It is crucial to understand how these changes might impact upon developing countries, which are dependent on these value chains to sustain their export-led development strategies. Looking to the future, the fruits of this partnership should help UNDP, as well as other parts of the UN, in supporting governments and businesses in their efforts to stay abreast of such developments, in policy and in practice. Being both a participant and observer at Davos 2019, I experienced first-hand the leadership, innovative ideas, spirit of cooperation and clear passion that many of its participants bring to the table around development issues. The Annual Meeting brought together change-makers offering critical and concrete contributions towards realizing the SDGs. There are just 12 years left to do so.